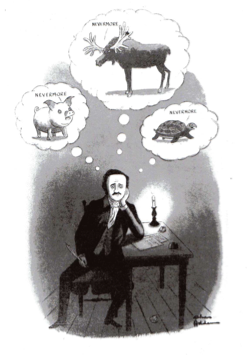 Some of the most beloved talking animals in picture books are frequently described as “child substitutes.” They exist in a mezzanine world between childhood and adulthood. 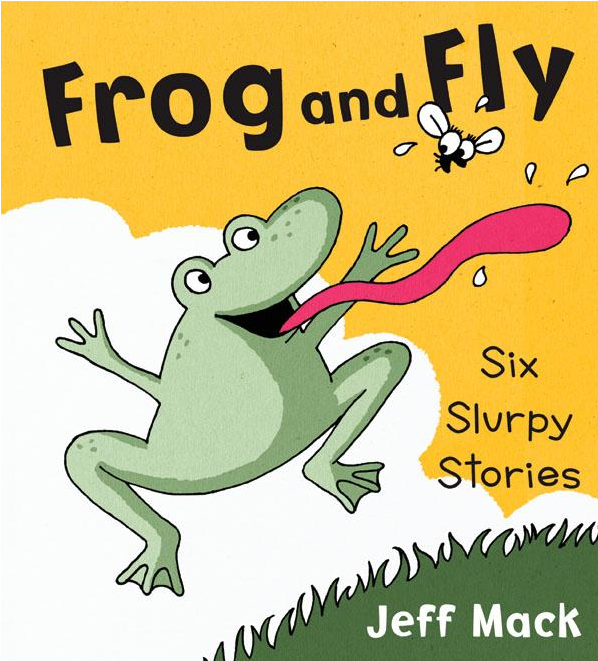 Characters like Frog and Toad are a double fantasy. 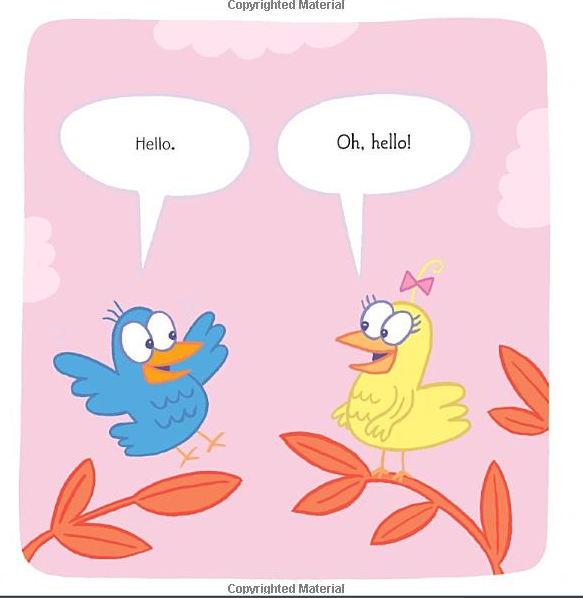 First–the animals talk. Second–the characters get to live on their own (be their own boss), yet aren’t burdened with adult duties. If Frog and Toad or George and Martha were children (even talking animal children) readers would immediately want to know why they’ve been abandoned. There’s nobody watching out for them. Why are they living alone? Who makes their dinner? If Frog and Toad were adults (human or animal) a different set of urgent questions would arise. Why don’t they have a job? Why don’t they always wear pants? 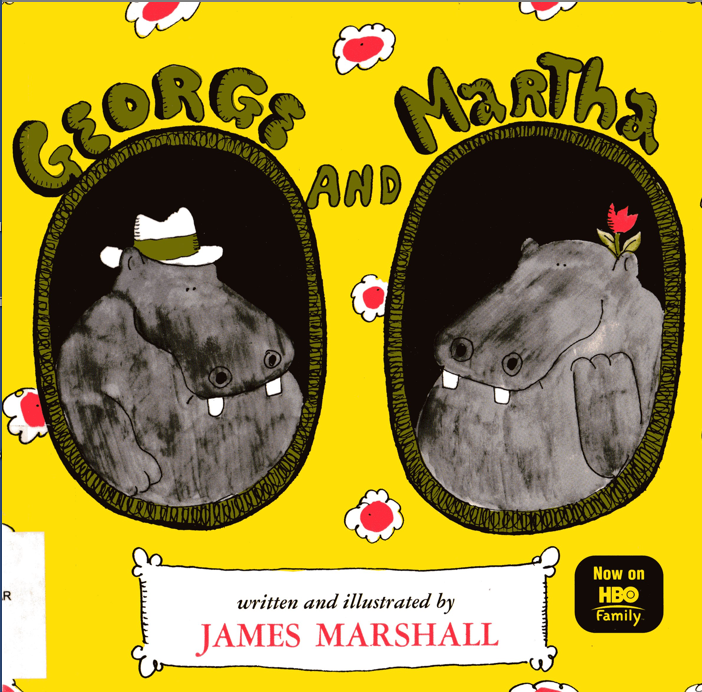 Or, why is George naked and Martha only has a skirt? Why are they worried about child issues like flying kites and hating pea soup? 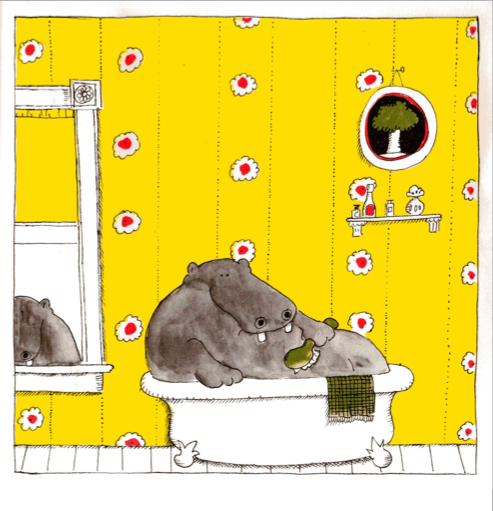 When we read “The Corner” in Lobel’s third collection of stories about Frog and Toad, Frog tells a story involving his parents. It is a jarring moment because it is a significant shift in type of fantasy. How can one be a “child substitute” if he had parents? If he had parents, then shouldn’t he should be a grownup by now. 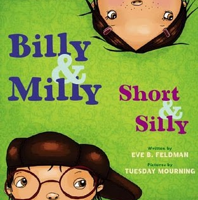 Other books like Tim Eagan’s ROASTED PEANUTS explore friendship between child substitutes, but this literary element can work just as well when writing about solo characters. 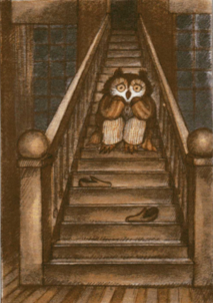 Arnold Lobel created the very solitary OWL AT HOME. 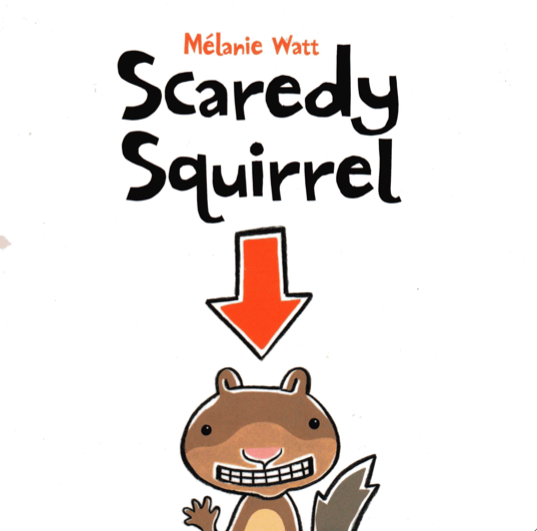 Another popular example is SCAREDY SQUIRREL by Melanie Watt. 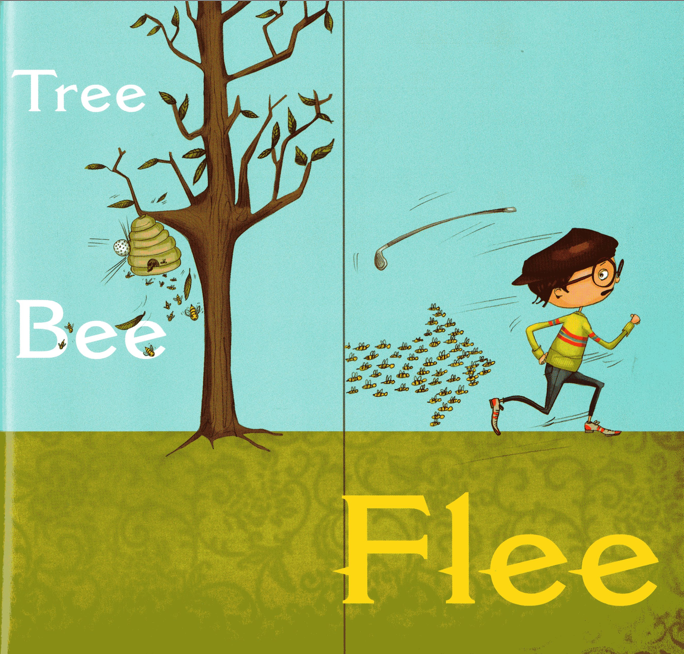 Using child substitutes allows a sense of distance and suspended disbelief much like talking animals do in traditional fables. And though it may seem contradictory, this distance opens doors to intimacy. Once external reality is suspended, adult writer and child reader can meet on the mezzanine between their daily lives, and savor the emotional core of the story. GEORGE AND MARTHA by James Marshall. Houghton, 1972. 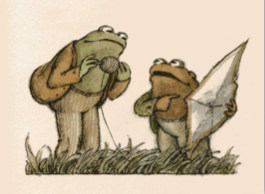 FROG AND TOAD ALL YEAR by Arnold Lobel. Harper, 1976. FROG AND TOAD ARE FRIENDS by Arnold Lobel, Harper 1970. 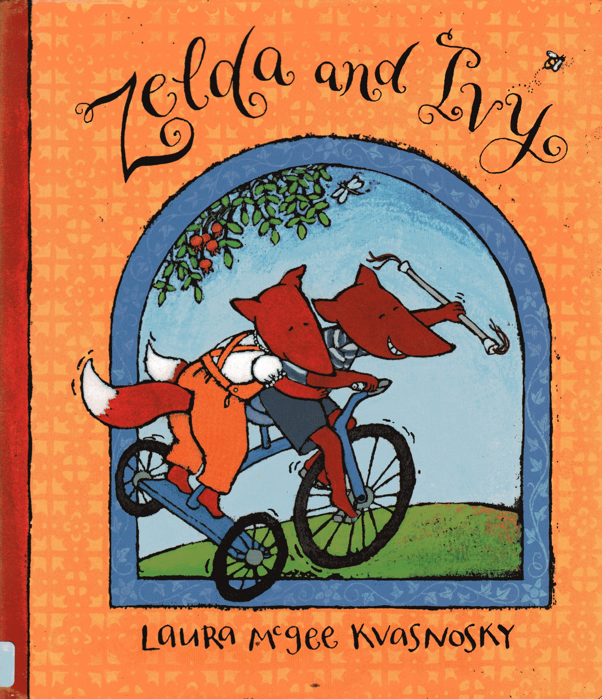 “An Interview with Arnold Lobel” with Roni Natov and Geraldine DeLuca. THE LION AND THE UNICORN (1977):72-97. OWL AT HOME by Arnold Lobel. Harper, 1975. ROASTED PEANUTS by Tim Eagan. Houghton, 2006. SCAREDY SQUIRREL by Melanie Watt. Kids Can Press, 2006.